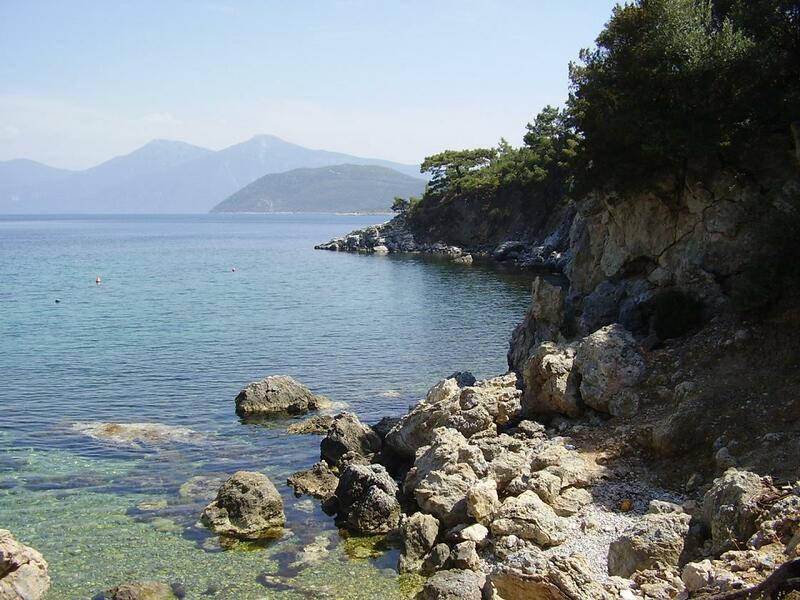 The island Samos is rather large and there are quite some beaches, of which most beaches have pebbles or are a mixture of sand and pebbles, and sometimes just sand. 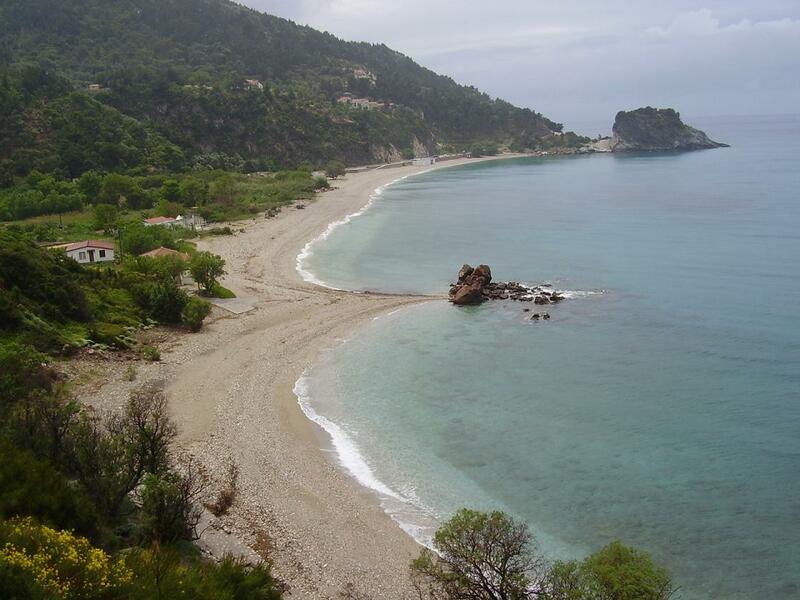 On this page there are descriptions of a couple of beaches on Samos, but there naturally still many more. 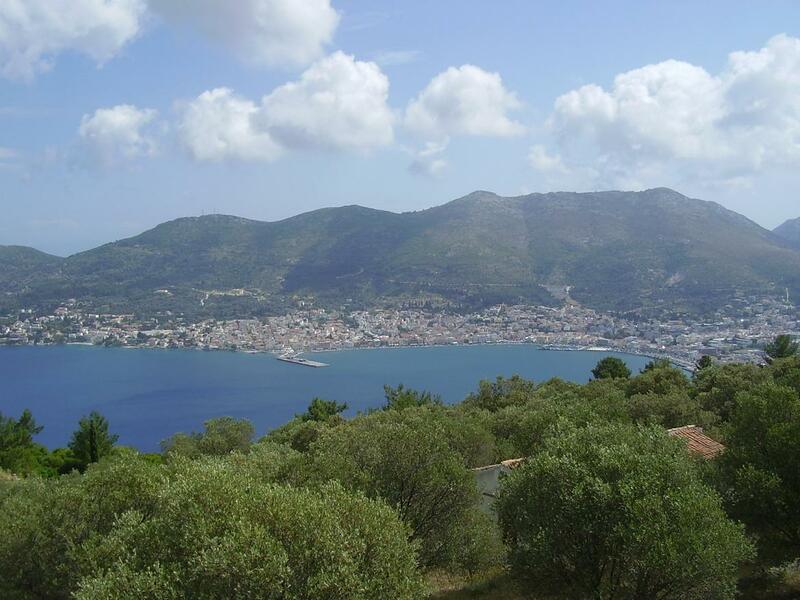 Karlovassi is a rather large village in the northwest of the island Samos. It has a small beach with a tavern and you can rent parasols and sunbeds. In the surroundings of the beach you will find most of the hotels. Karlovassi has the nevertheless more character the of a small town rather then of a spot where the tourists will go to be on holiday and lie on the beach. 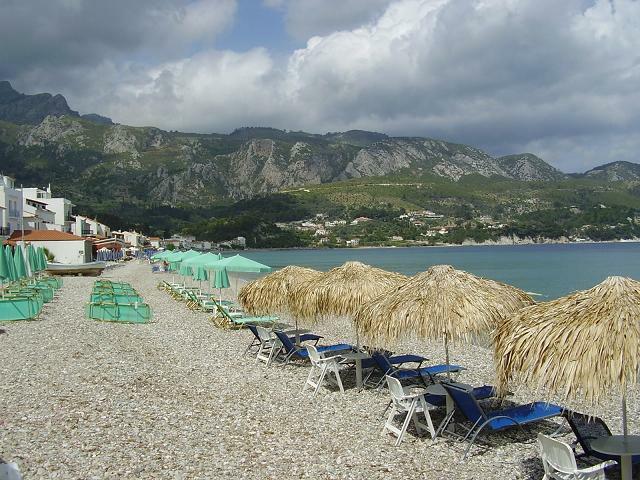 On the outskirts of Samos Town there are several small beaches, most of which have sunbeds and umbrellas on them and close to one or more hotels. Pythagorion in the south of Samos is one of the most popular and nicest beachvillages on Samos with a wide choice of hotels, souveniershops and supermarkets, restaurants and places of entertainment. 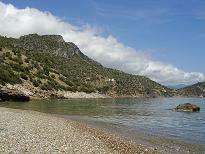 In the village itself there are some small beaches with pebbles. Here it is on some spots difficult to get into the water. Just as outside the village, around the corner however, there is a a splendid long beach with mainly sand and a few pebbles. 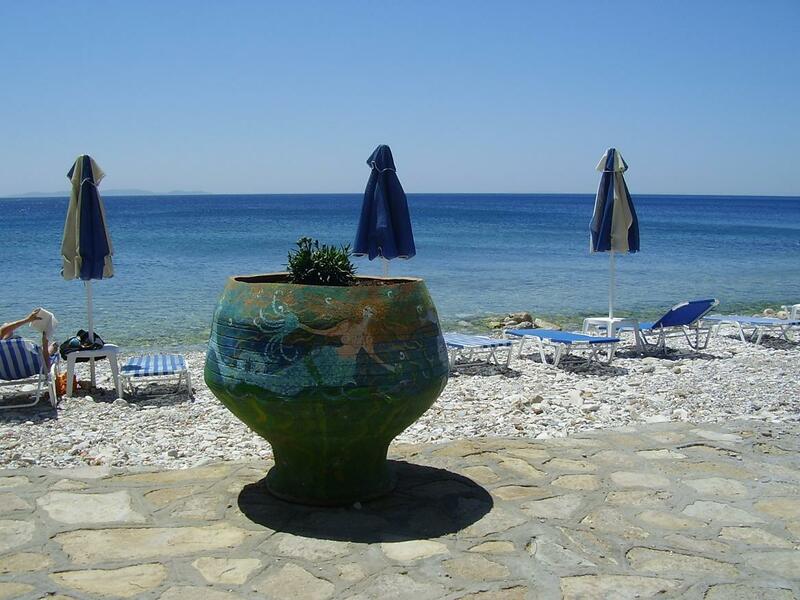 At the beginning of that beach are some taverna's and places where can rent sunbeds and parasols. 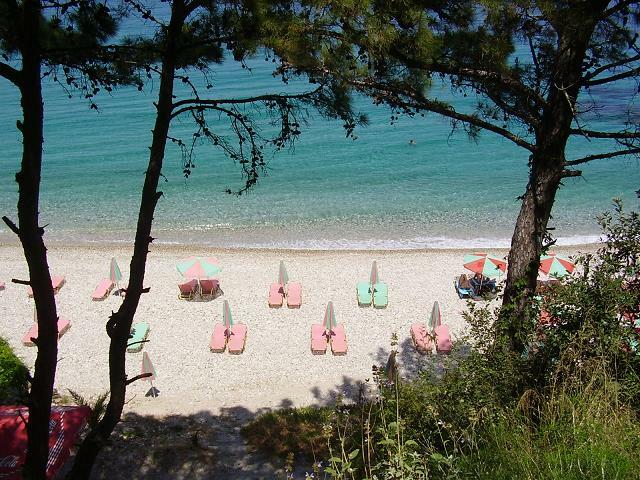 I think its's one of the most beautiful beaches of Samos. More outside the village the beach becomes more quiet, but not less beautiful. 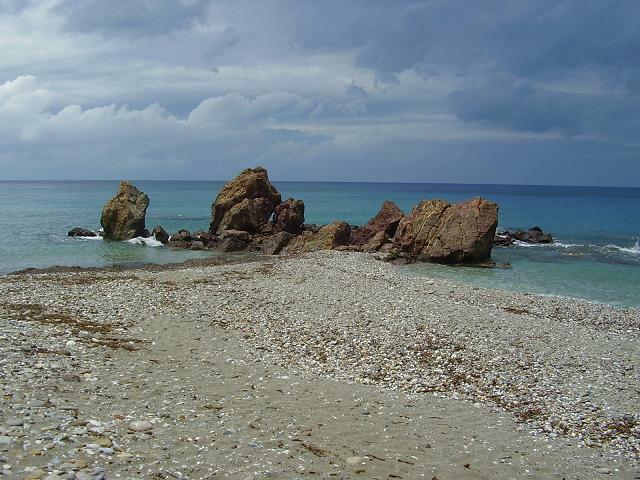 Potokaki Beach is a pebble beach at the edge of Pythagorion towards the village of Ireon in the south. There are a couple of umbrellas and sunbeds. The beach is mainly for the couple of hotels that are built around this beach. Amongst the pebbles there is plenty of sand and actually it is not a bad beach at all. It is easy to get into the water here because the sea is shallow. In the last couple of years luxury hotels have been built along this beach and the beachchairs and umbrellas have taken over. 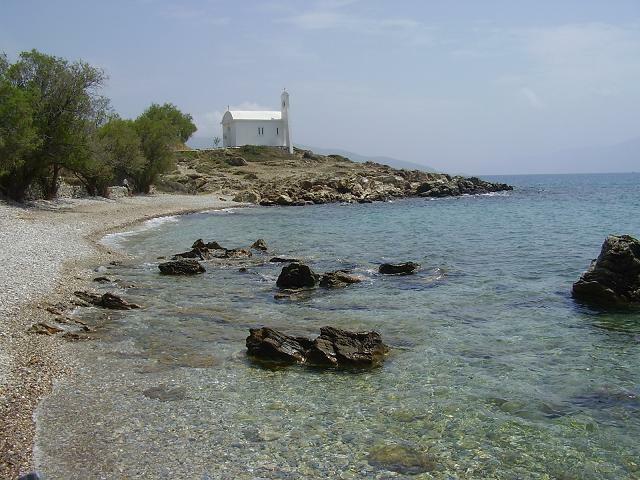 In the village of Agios Konstantinos, in the north of the island lie a number of small pebble beaches located on both sides of the village. They are not really spectacular and they are mainly used by the inhabitants of the village itself. 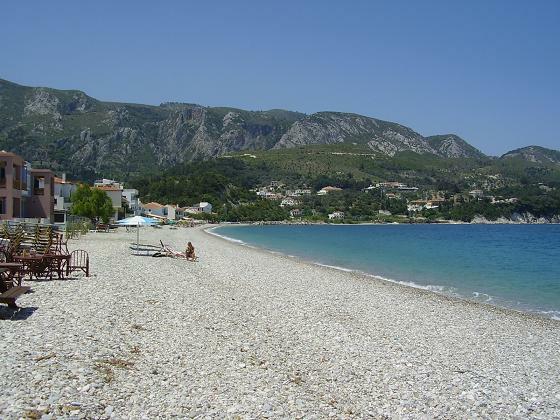 Tsabou Beach is the name of a large pebble beach in the north of Samos near the village of Avlakia. It looks very pretty if you look at it from above and it is certainly picturesque, but the beach is really quite uncomfortable because there is no sand anywhere and the pebbles are quite large. You need slippers or sandals to walk here. There are sunbeds for rent (I would think that you would have to, or the option is to lay very uncomfortable). There's also quite a bit of wind on the beach. Pretty but not one of my favorites. 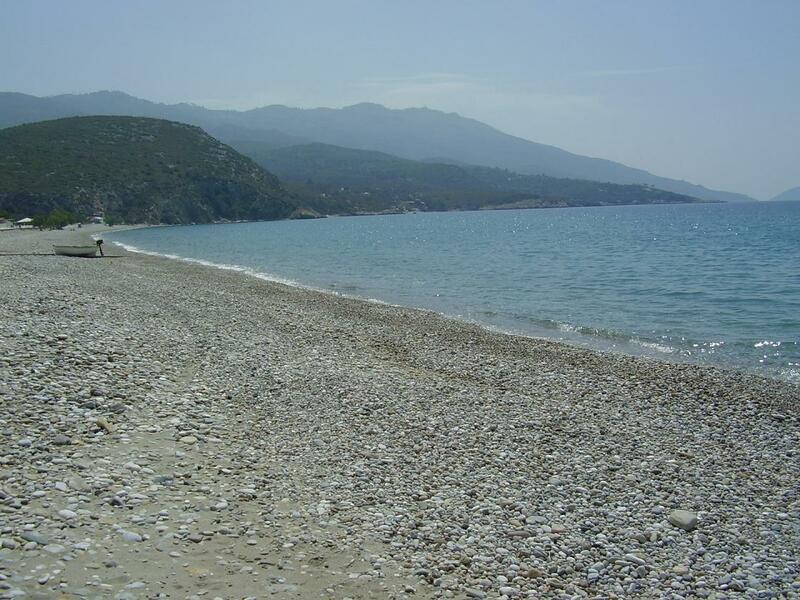 There are three beaches with the name of Psili Amos (meaning fine sand) on Samos. 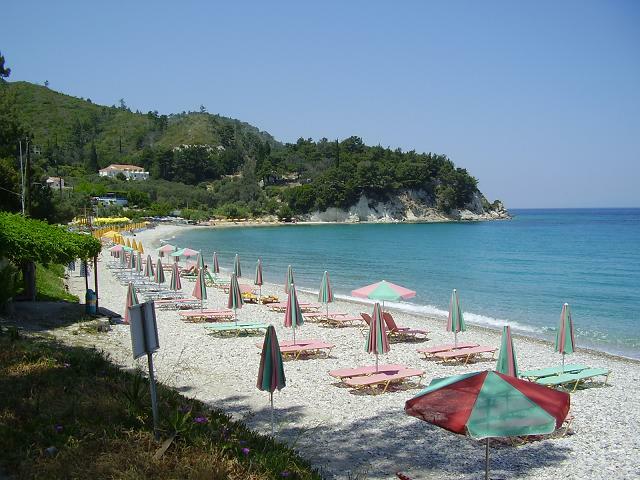 The best known Psili Amos is a fine sandbeach in the southwest of Samos, close to Pythagorion. The sea isn't very steep when you go into the water and therefore you must walk a bit into the sea to reach deeper water. That is of the reasons why the beach is popular with families with small children. 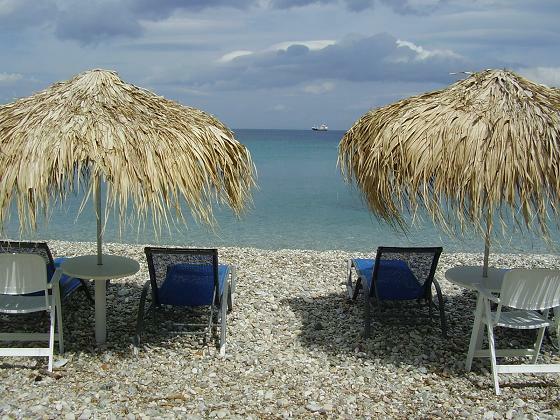 On beach there are taverna's and you can there also rent sunbeds and parasols. another Psili Amos beach is also situated in the south, a little bit east of Limnionas on the other side of the island (see pictures). I once read somewhere that someone described it as a small sand beach, but actually it is quite a large sand beach. On part of the beach there are umbrellas and sunbeds for rent and the rest of the beach is for people with beachtowels: there is plenty of room for everybody. 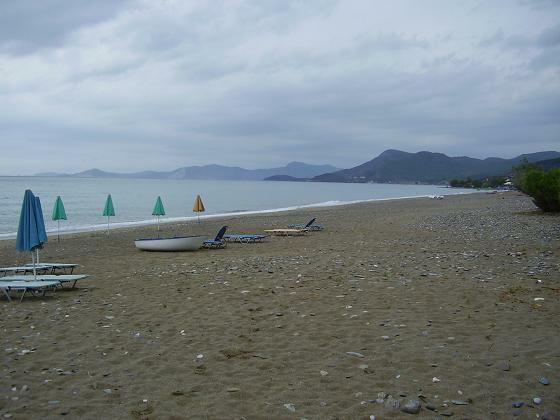 Kerveli is one of the more quiet beaches of Samos. It is situated in the east of the island. The beach consists mainly from out of pebbles and small stones. By car it is easily reached after a 3 kilometres long drive down a curvy road. 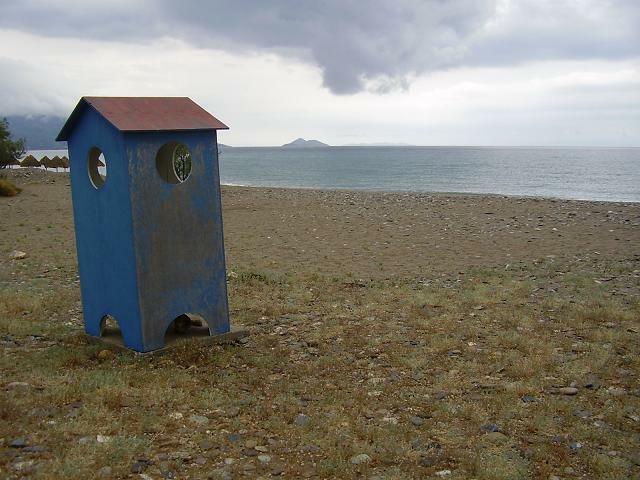 There are also a couple taverna's at the beach. 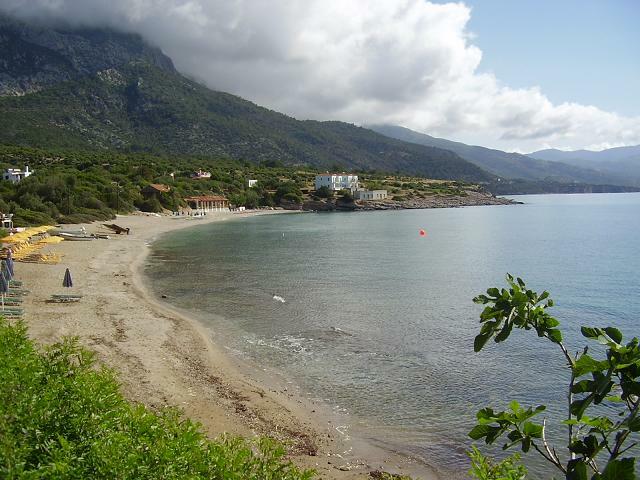 The beach of Tsamadou lies just outside Kokkari in a splendid bay. The last piece to the beach must make by foot over a steep path down. At the beach there are sunbeds and parasols and the whole stretch is organized. The beach consists mainly out of pebbles and at the sea is rather steep. 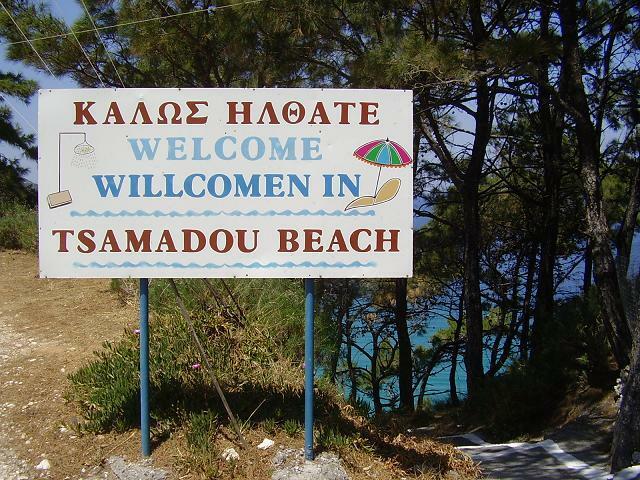 This beach is the only official nudist beach on Samos (partially 'ordinary' beach and partially for nudism). You can get something to drink there, but there aren't any shops. 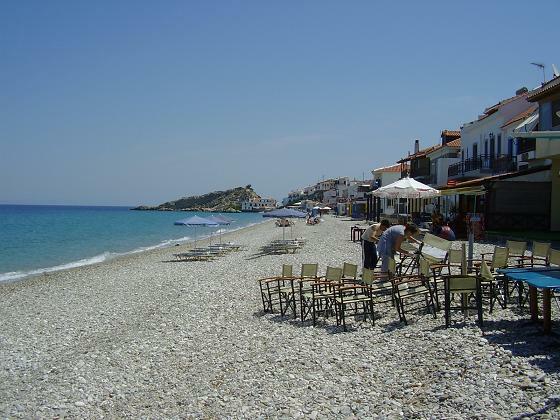 Kampos or Kambos and Votsalakia beach (one long stretch - two villages next to eachother on the beach) in the southwest of Samos consists of a considerable number of restaurants, hotels and houses on a road. It thought this place looked a bit touristic with all its accommodations and tavernas, but it is more quiet than for instance Pythagorion. People come here to relax and to enjoy the sea and the beach, and to eat nice food, but not so much to party untill late at night. 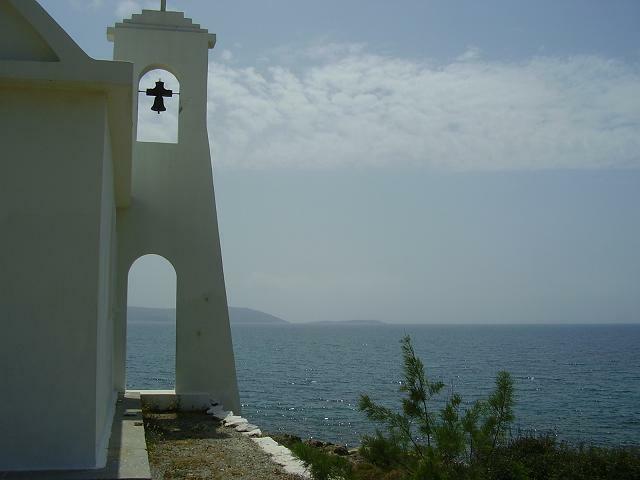 Ireon is a kind small settlement on the coastline, close to the airport and not far from Pythagorion. It is the home of the temple of Hera. 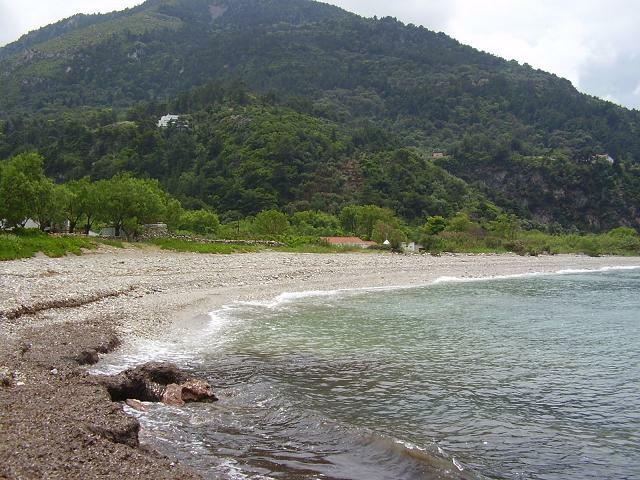 The beach of the village is a pebble beach (with some sand) and it stretches all the way to neighbouring Pythagorion, which is a few kilometres away. For people that want to escape busy Pythagorion this is a nice option. We went to Ireon a couple of times to have dinner in a more quiet setting and enjoyed it. There are restaurants along the beach and some cosy streets where you can buy souvenirs or food. In Ireon there is enough choice for hotels, apartments and studios as well. Read more and see the pictures of Ireon. Megalo Seitani is situated in the mountaines northwest of Samos. In this part of the island there are no roads so the only way to reach the beach is on foot. 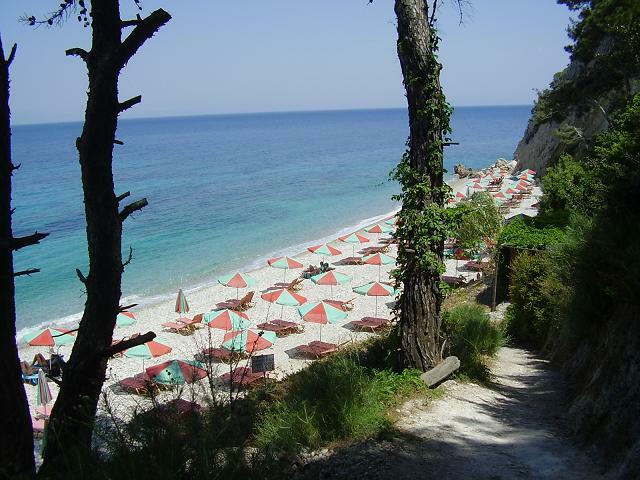 It is a beautiful walk with great views and the beach of Megalo Seitani is one of the prettiest beaches of Samos. Because the beach is so remote you have it more or less to yourself. It is not an official nudist beach but as more often on remote beaches it is suitable for nudism. It is a beach with sand and pebbles and there are no facilities so you have to bring your own water and food. 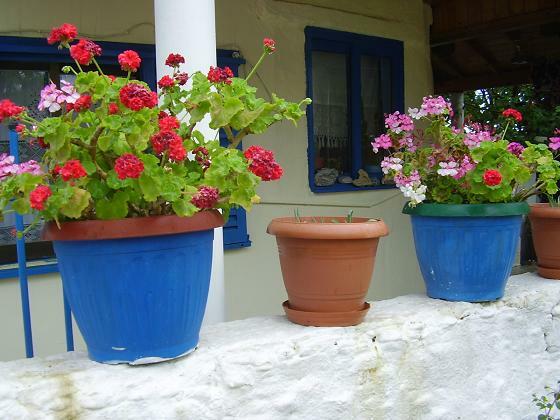 Micro Seitani is also situated in the mountaines region of the northwest of Samos. It is a remote and small beach surrounded by rocks. Micro Seitani is a beach with both pebbles and sand and there are no facilities on the beach, so again you will have to bring your own water and food. 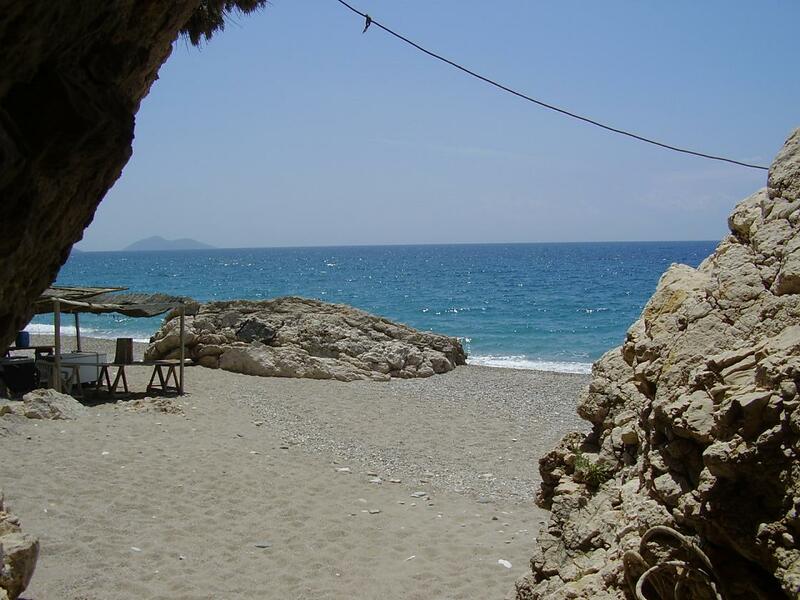 Potami is one of the beaches on the northcoast of Samos. 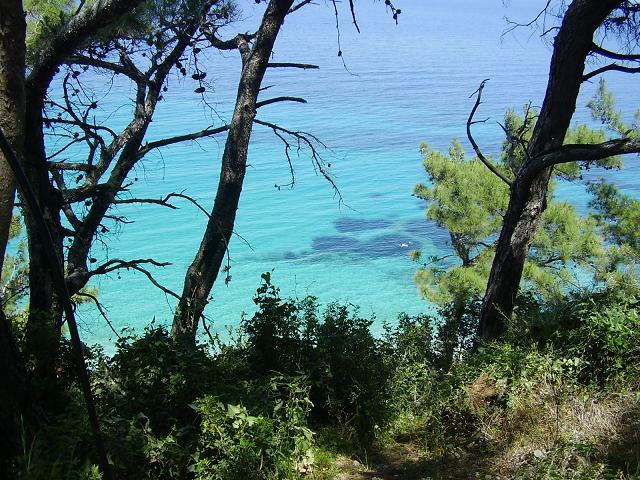 You can reach the beach by car or on foot from Karlovassi. If you go to Potami and walk along the river you will reach a waterfall and small lake after about 2 kilometer. 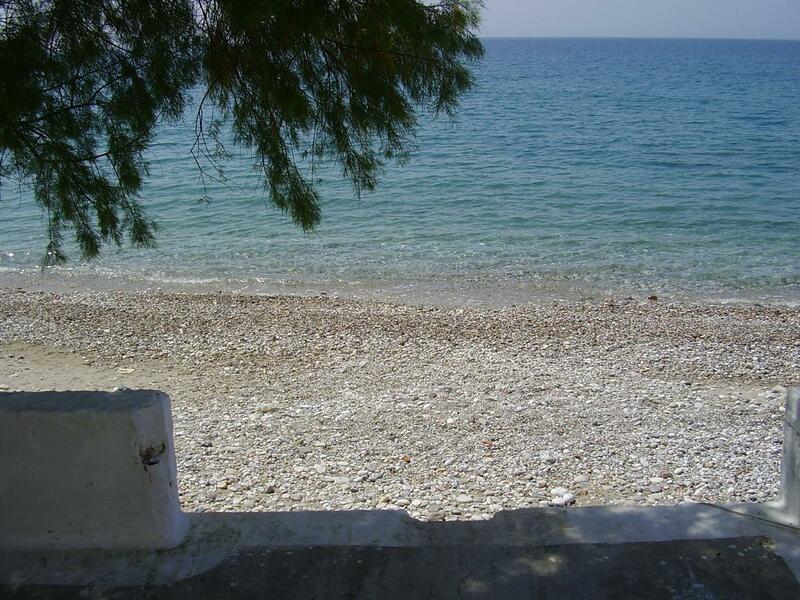 The beach of Potami is a pebble beach. 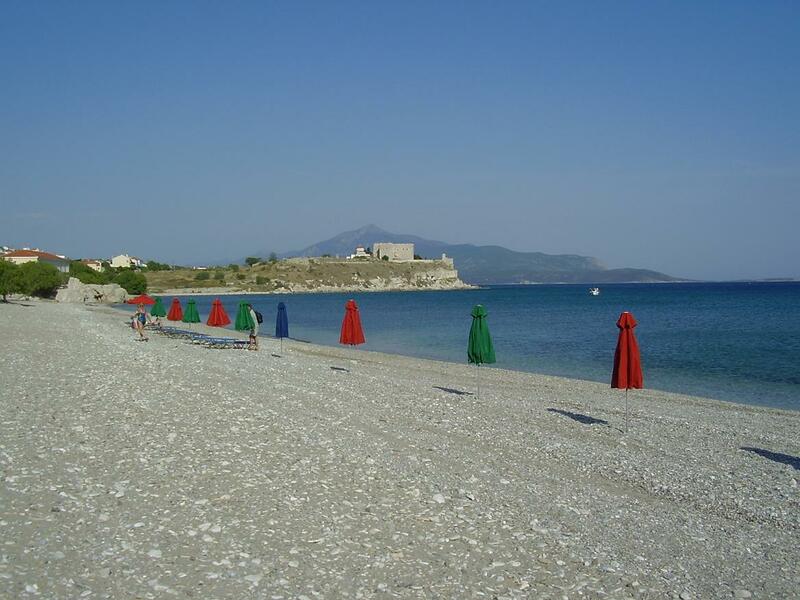 Limnionas is a small village in the green hills with a beautiful sandbeach, and in the backdrop the imposing and highest mountain of the island of Samos. 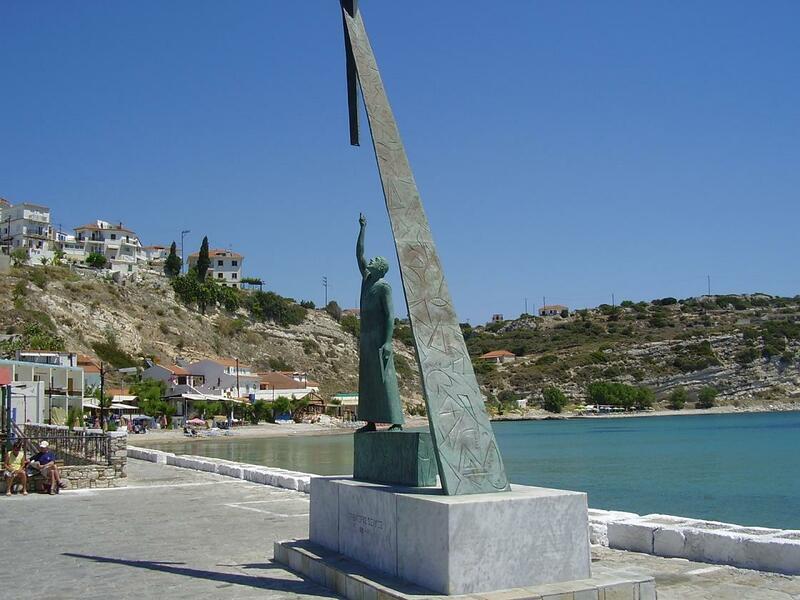 It is situated in the southwest of Samos, off the mainroad, so there is not much traffic. In Limnionas there are a couple of restaurants and some hotels, apartments and studios, but the amount of accommodation is limited so it never gets too busy. This village is absolutely one of my favorite places to be. In the area, in walking distance, there are more nice beaches you can go to. 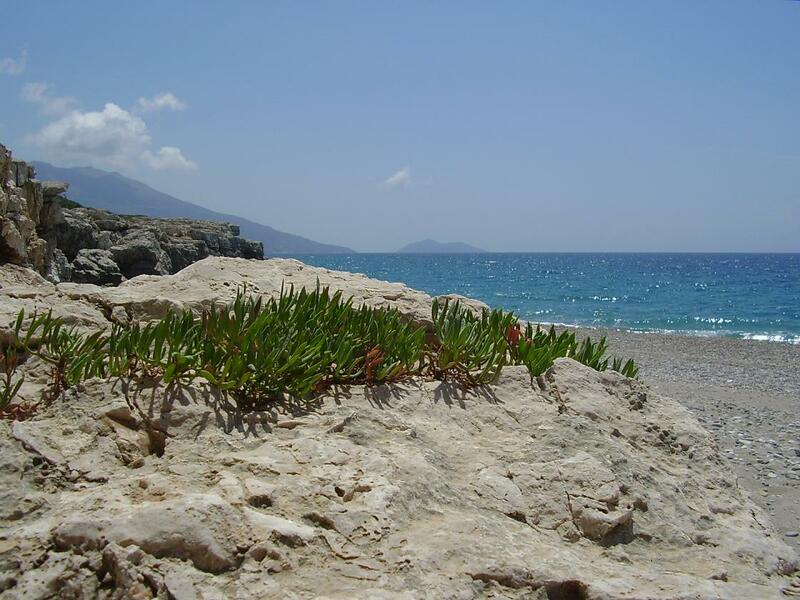 Read more about Limnionas and its beaches. These are the names of a few of the beaches that you can find at the west side of the island. 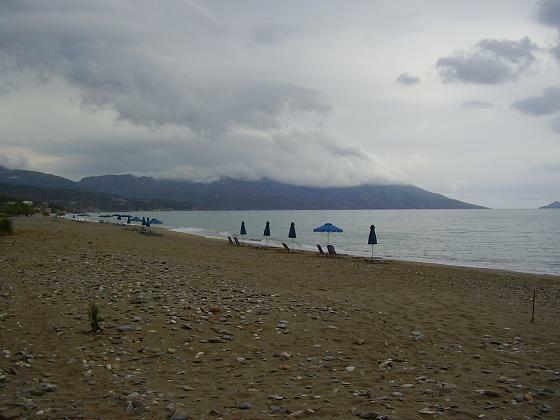 Kedros beach and Agios Ioannis beach can be reached by dirt track from Paleochori, which is a village in the south west of the island of Samos. Agios Ioannis is supposedly the prettiest. We visited Kedros Beach (see pictures above). These beaches are isolated so don't allways expect them to be 100% clean, since there may be some driftwood, rubble of seaweed on the beach. 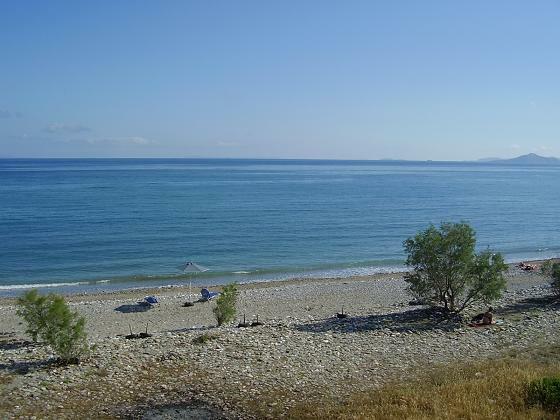 The Beach of Agios Isodoris is situated more north in between the villages of Kallithea and Drakei. This beach can only be reached by a 4-wheel drive Jeep. The last few meters we were told were the most difficult. 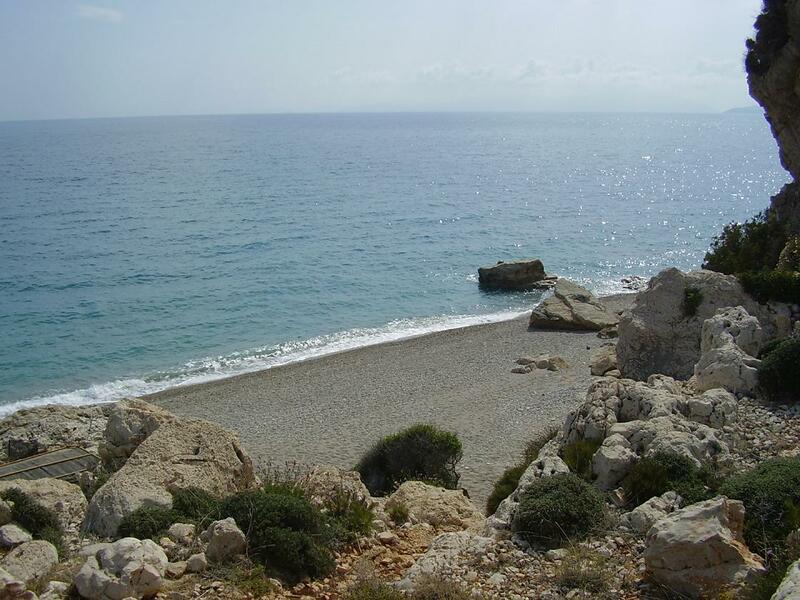 To reach these beaches you really need a very good car or an excellent condition if you want to go there on foot. Balos is a quiet village in the south of Samos that is not situated on the main road, and so it is more peaceful than for instance Votsalakia and Kampos. 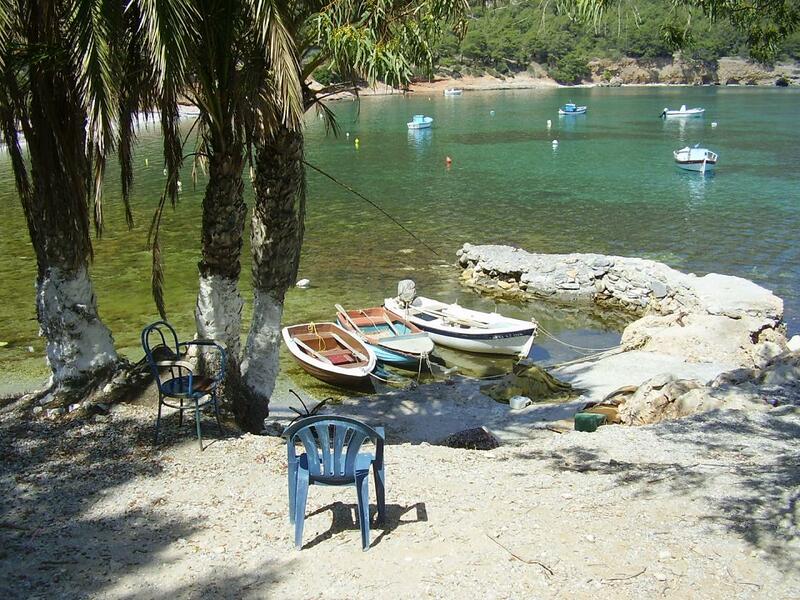 It is set in a beautiful bay and it comes with a large, clean and quiet pebble beach, with clean waters. Next to Balos beach is another beautiful secret sandy beach, which is our favorite beach of the island. 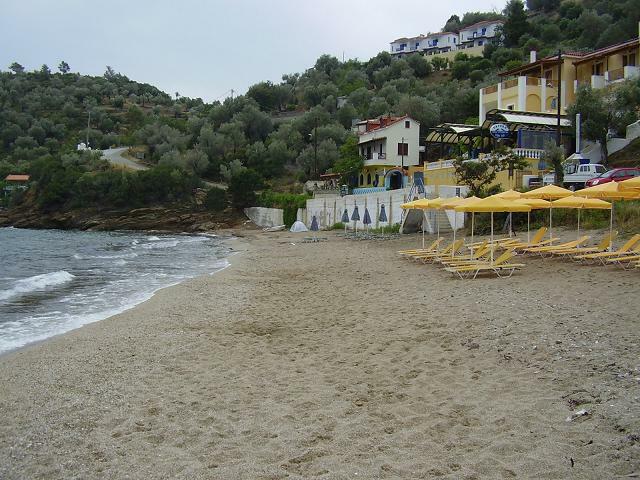 This beach (sand and some pebbles) is close to the Panorama Villas (see hotel section) and next to it is yet another beach. 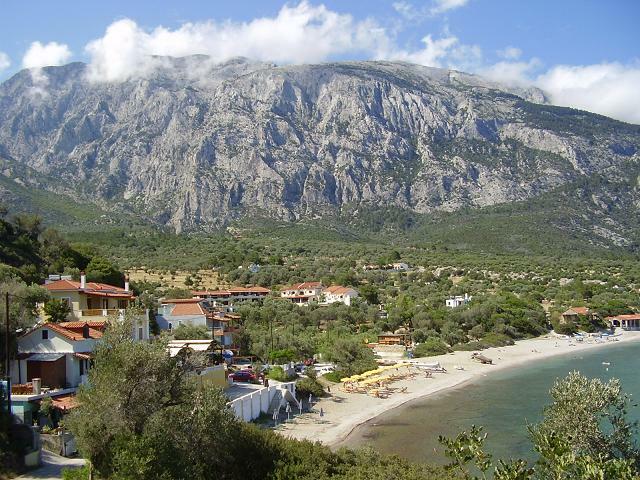 Ormos is a quiet and friendly fishing village in the south of Samos next to Votsalakia and Kampos. It is prettier though and the houses have more character. It looks a bit older and more authentic than its close neighbours. On the edge of Ormos you can find the beach of Ormos. Read more about Ormos and take a look at the pictures. 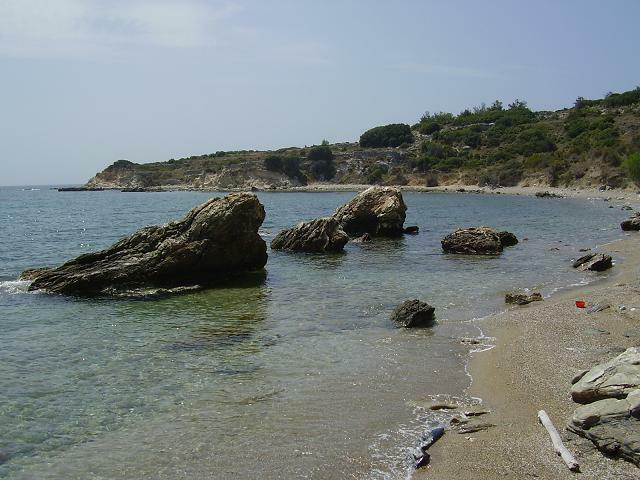 In the area of Messokampos, a little east of Pythagorion, are a number of small and a bit larger beaches, but mostly all with large pebbles and very uncomfortable or not suitable to lay on. More towards Pythagorion the beaches become a bit more sandy and the pebbles a bit smaller. Read more about Messokampos and see the pictures. 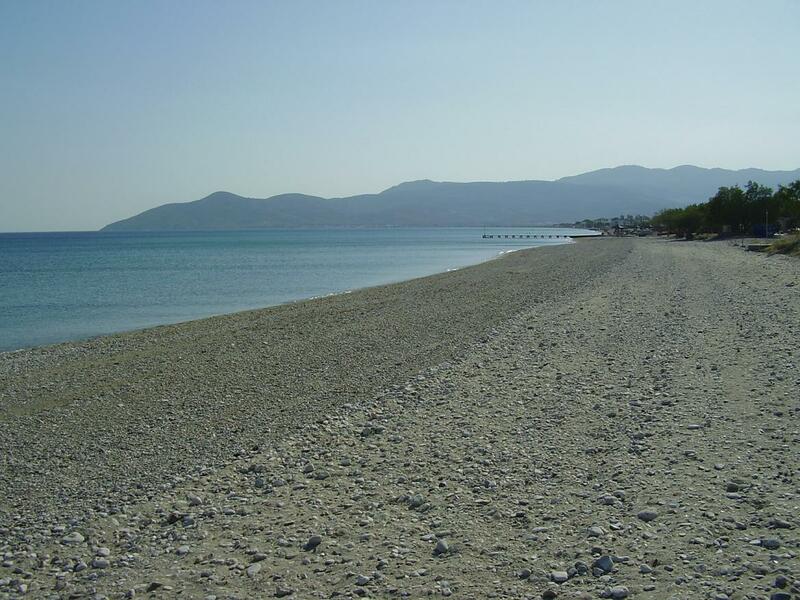 The beach of Posidonio consists of a number of small pebble beaches around a bay. 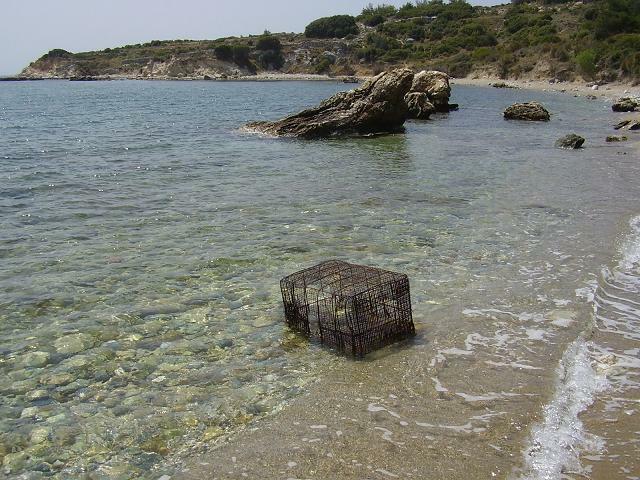 The beach is accessible if you take the turn to Paleokastro leading from the road between Vathi and Pythagorion. In Paleokastro you take the turn to Posidonio. 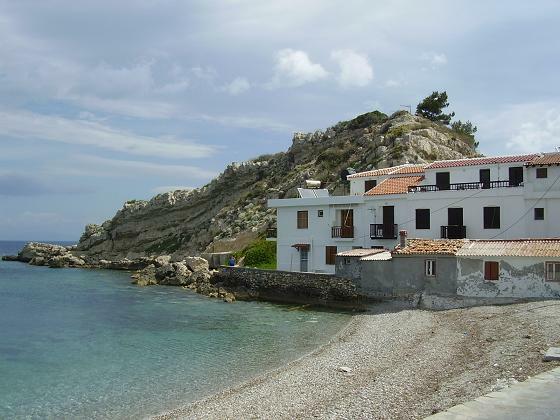 The beaches are located in the southeast of the island of Samos and the route here is very nice. leading through the woods and with beautiful views here and there. 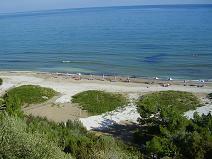 In this area there are even more beaches such as the beach of Kerveli or the beach of Klima. 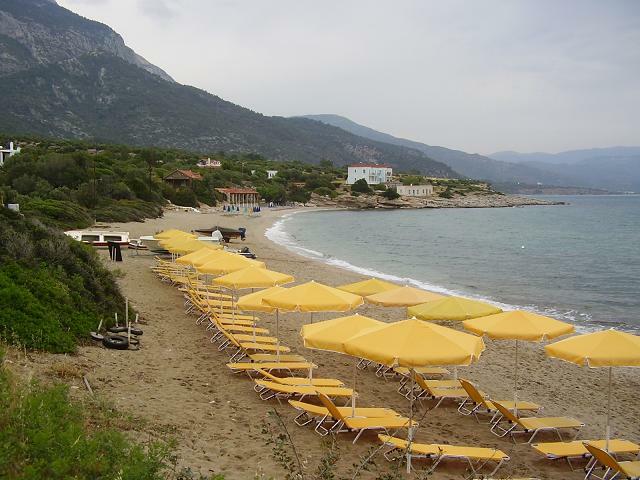 On the beach at Posidonio there are some tavernas and cafes and you can rent umbrellas and sunbeds. In the bay there can be some wind, making it popular for watersurfers. 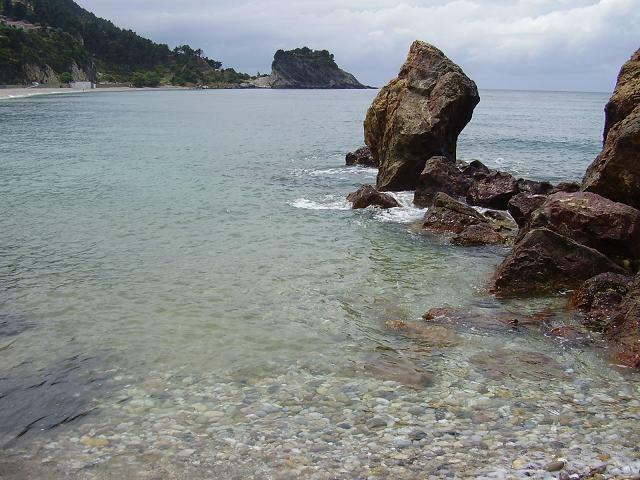 The beach of Sidera is located right next to that of Posidonio in the southeast of samos. "Beach" is actually a large word for it because it is more a collection of pebbles in the sea and there are better beaches in the area. Yet sometimes people come here to escape the crowds and want to relax a bit. The bay itself is a beautiful country with beautiful colored water. 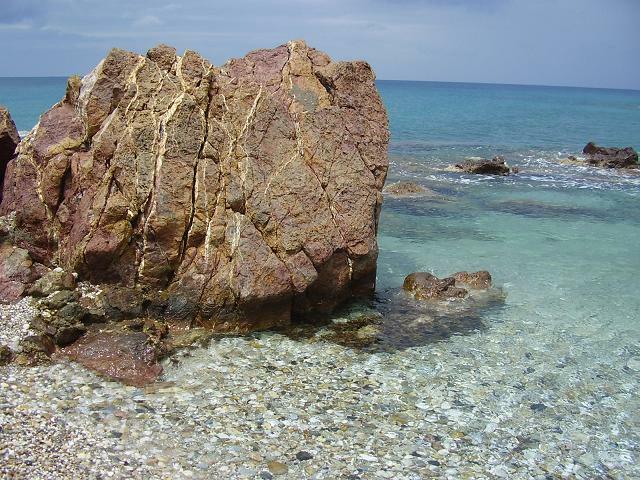 The beach of Klima is a pebble beach that is accessible if you take the turn to Paleokastro on the road Vathi - Pythagorion. 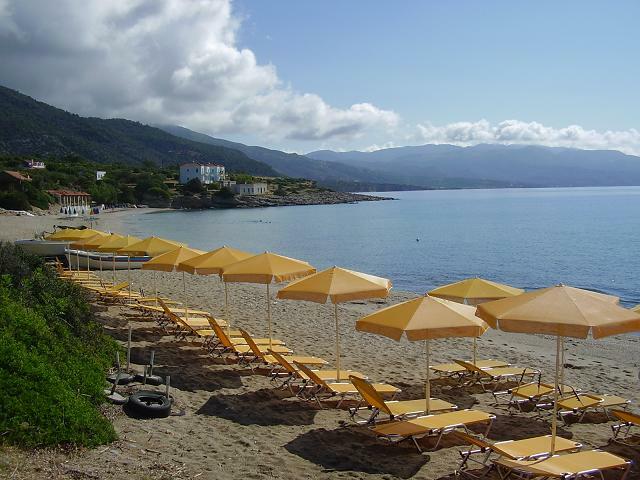 It is a beach where you can rent umbrellas and sunbeds and there are some accommodations around the beach and taverna's. As more beaches in this area it is especially popular with the residents of the island itself and especially with the inhabitants of vathi. In the small "village" is a good parking place and on the edge of the village there is a nice church. Mourti Beach (sometimes on the map spelled as "Mourtia") is a small pebble beach in the north east of Samos, close to the Zoodochou Pigis Monastery on the route Vathi (or Paleokastro) - Kamara - Mourti beach. It looks great from up above but down at the beach it is a bit of a disappointment, like most beaches on this side of the island: uncomfortable pebbles and just the shade from a few bushes.